Most of us stretch a bit when we get out of bed every morning. It helps us begin our day with extending our muscles after lying flat in bed all night. That simple stretch is a good way to welcome the day, but do you find time during the rest of your waking hours to repeat that simple process? If you participate in sports, if you exercise strenuously, are a weekend warrior, or just walk to keep healthy, you should be stretching. Regardless of your level of activity, there are stretches you should doing every day to maintain your flexibility. There are several reasons why stretching every day is a good habit. For starters, stretching helps to improve your circulation. No matter your age or level of activity, circulation is important. 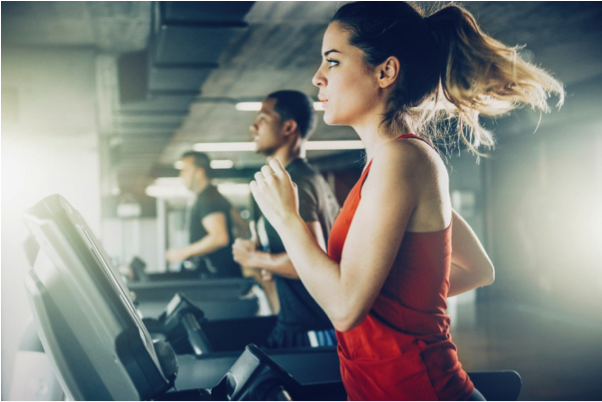 It will keep the blood flowing to your muscles (and brain) so no matter the frequency or tempo of exercise, your body will be in better shape to perform any kind of activity. Second reason stretching is important is to aid in preventing injury and also to relieve pain. Stretching allows your body to increase its flexibility and range of motion. Your body can move more comfortably and easily no matter your level of exercise. Lastly, when you stretch you calm your mind and relieve stress. Everyone can do with less stress right? By stretching you reduce the extra strain on all parts of your body. The positive consequences of daily stretching are many including a better night’s sleep, and who doesn’t need that. If you sit at a desk all day in front of your laptop computer for work, that alone creates tension in your body. Your neck, lower back, shoulders and legs can become rigid, painful and cause you to be less productive. There are a few stretches you can do during the work day while sitting right at your desk. They will help to relieve this discomfort and allow you to get down to business. 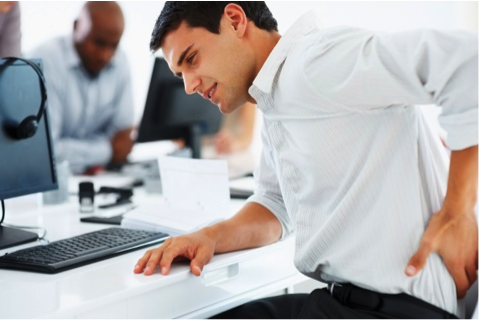 Relieve the pain in your shoulders by sitting at your desk or stand up. Keeping your shoulders down, roll them forward slowly up and back to form a circle. Then go the opposite way 5-10 each. For neck issues, sit or stand and pull your right ear toward your shoulder as you relax your left one. Use your right hand to gently pull down your head. Hold for 30 seconds and then do the left. Stretch your back muscles by sitting or standing straight with arms out to the side, elbows bent, with palms forward and toward the ceiling. Pull your arms back to feel the stretch, hold for 30 seconds. Do 6-10 repetitions. No matter your level of activity and even if your only exercise is walking, there are some simple stretches you can do on a daily basis to increase your overall flexibility. The standing side stretch works for everyone. Put both arms over your head with your hands intertwined and pointer fingers outstretched, then inhale. Breathe out as you bend to the side and take slow breaths. Return to the center and repeat to the other side. Even if you are not a runner, you can still benefit from the runners stretch. Put your right foot forward and lower yourself into a lunge position with fingertips on the floor. Breathe in, exhale and straighten your right leg. Do this 2-4 times and then switch to the other side. Lower back muscles can be relaxed with this stretching exercise. Lie on the floor, bring one knee up and pull to your chest and hold for 15-30 seconds. Then repeat with the other leg. Do these lift pulls for 10 repetitions. Ask yourself what hurts and where you are stiff. Then stick with your stretching routine and be consistent. Have a plan that will work for you and your routine. Does it hurt just getting on the floor to play with your children or pets? How about the simple tasks of putting on your shoes and socks in the morning? If it hurts to simply reach for something on the top shelf in the kitchen, your body is telling you to pay attention. If you would like advice about your particular aches and pains or lack of flexibility contact the specialists at Downsview Chiropractic. From chiropractic to massage therapy to naturopathy, we will set up a plan to improve your well-being, reduce your pain and enrich your life.